How delicious does that cupcake look?? Well, let me tell you... it was mighty delicious! Michael, the cupcake master, is a recent high school graduate (how cool is that!?) 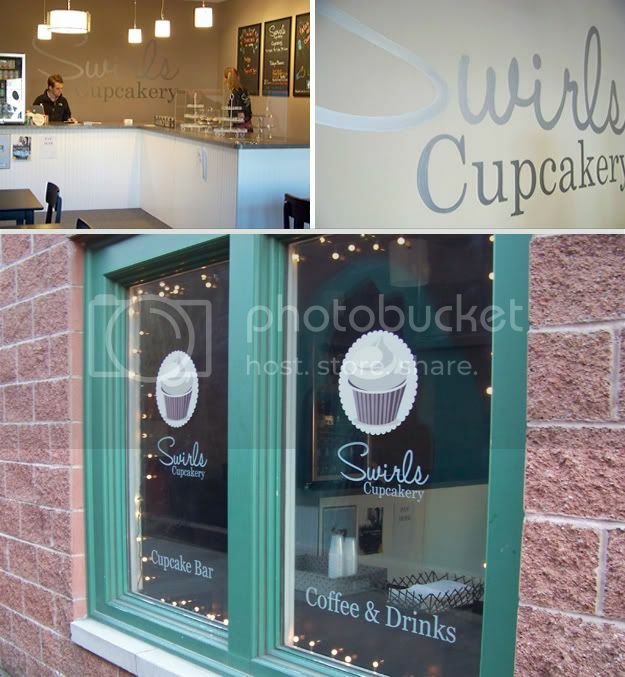 and is ready to bring the cupcake craze to the Buffalo area with Swirls Cupcakery. The grand opening was this weekend and Kristen and I were so excited to check it out. We went a little later in the day, after all the craziness and they were SOLD OUT of everything. Lucky for us, we know the owner (he just so happens to be Kristen's cousin! ) and he saved us a few tasty treats! Want to see more photos? Head on over to the Hello Monday Blog. I love their shop front & their cupcakes look delish! high school grad? wow! that's so awesome. love the designs too! i love little cupcakeries! my mom wanted to start one but i don't know if she ever will... maybe one day!! this one is adorable!! i haven't had one in the longest time... these look great! That looks positively delicious! I'm such a fan of cupcakes (and all things sweet, for that matter). Great photos. 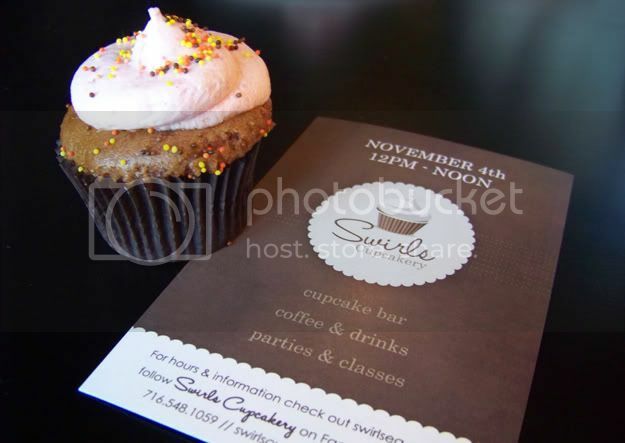 Last week I got some cupcakes from a local place called Sweet cupcakes and they were sooo good! A highschool grad baking cupcakes? Why couldn't I find my passion that young? I can't believe just graduated High School! They Look great!!!! i absolutely love cute little bakeries!